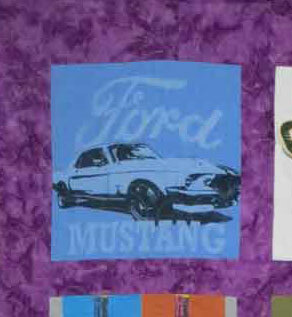 Our 'Basic' t-shirt quilts have ALL the same quality, and features of our Premier/Standard quilts. The only difference is the number of borders included on the outside perimeter. As always, we give you your choice in fabric colors. Choose contrasting sashings from the outer border and tie it all together with matching cornerstones. ** Again, no extra charge for the professional touches. Cornerstones - Those little squares at the intersections of the sashings. **Quilt on the right, is using the same fabric for borders, sashings, cornerstones and back. Over the next few weeks we are going to feature several types of custom quilts that we offer. Be sure to download our FREE E-Book "T-Shirt Quilt Buying Guide". 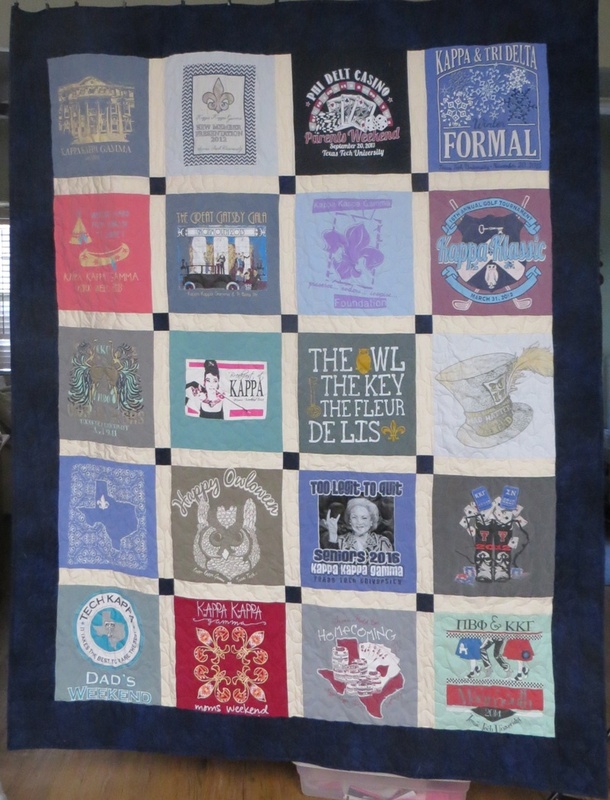 Although we should call it "PREMIER" T-Shirt quilt, we call it "BASIC" because we only offer the highest quality quilts.